With the QWERTY keyboard, messaging is where the enV excels over other standard keypad equipped phones. Sure, there are plenty of other phones with full keyboards, but most are enterprise-class smartphones and not feature phones on steroids. The SMS/MMS messaging center can be accessed directly when the phone is both closed and open. Using the exterior keypad to peck out text messages or emails is rather uncomfortable, but using the full keyboard works great. 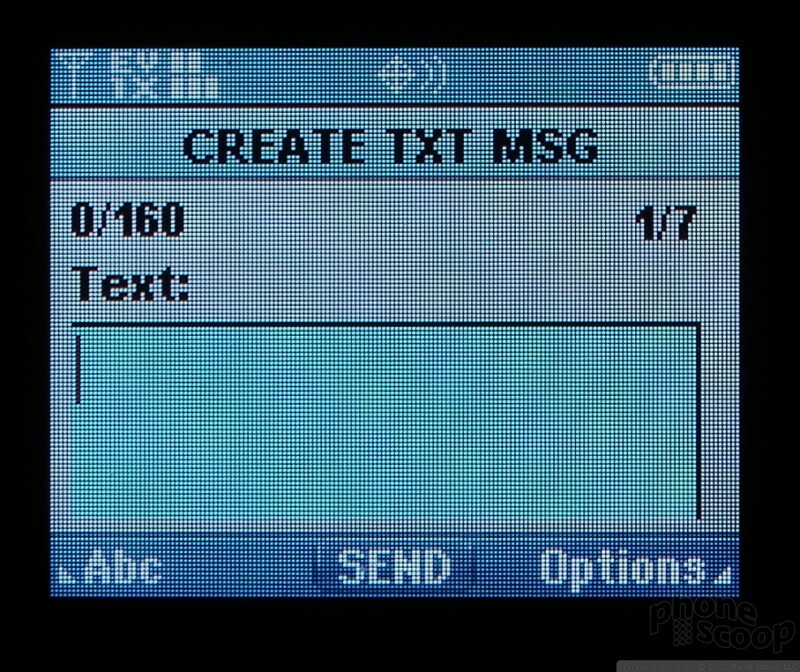 Incoming text and picture messages can be opened and read from both screens. 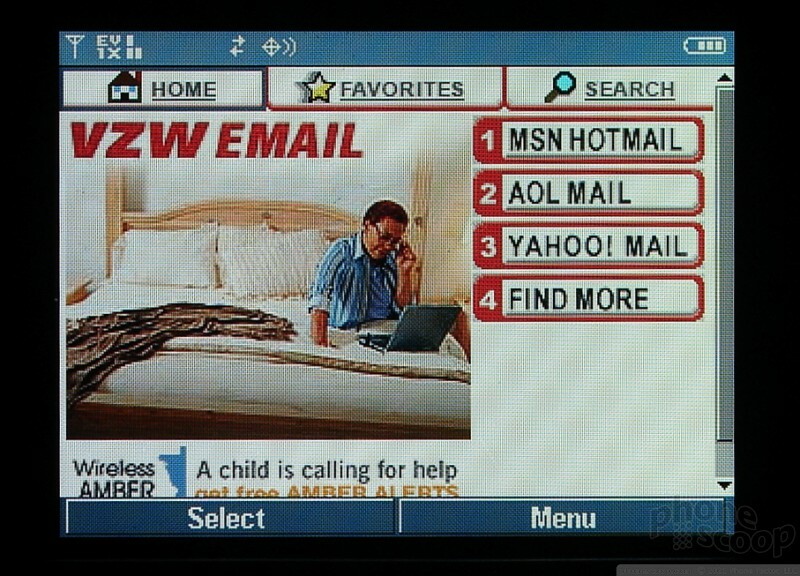 Using the Verizon menu system, it takes 3 clicks to get to a new SMS or MMS message. Once there, typing was easy and I found myself composing much longer messages than I normally would on a regular keypad. 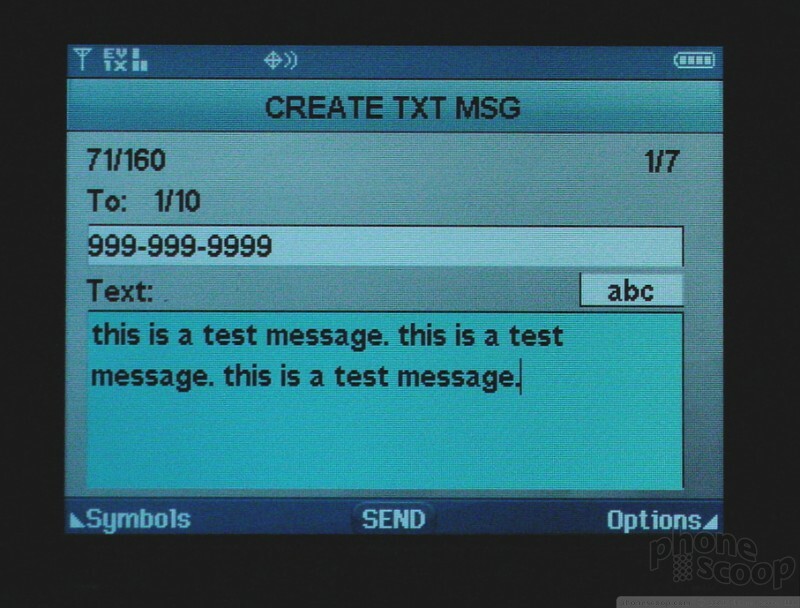 The large screen also helps because not only can the recipients' numbers be seen, but a much larger portion of the message can be seen while typing, which helps while peckety-pecking away. During composition, the "options" key takes you to a set of menus that let you do almost anything with the message before sending it off. The one quirk here, is that when you are attempting to change settings or options, hitting the "clear" button takes you all the way back out to your message, rather than taking you back one menu level. This was sometimes frustrating when you wanted to just go back a menu and select another option. Instead, you have to start the process all over again. The other softkey takes you directly to a set of symbols and odd characters, rather than alt-shifting to the special characters on the keyboard. There are 50 symbols preset in that menu. Email can be checked three different ways with the enV. First, you can use the standard Verizon portal to access Yahoo, Hotmail and other free Internet email services. You can also browse directly to the full web site for Yahoo, Gmail and other email providers and sign in manually. These are "pull" services, meaning you need to actively seek your messages. Using either of these methods was satisfying for checking Internet POP-based email accounts. The dedicated email key is another story. It launches the Intellisync-powered "push" email service. This service allows the phone to automatically check for email at predetermined times from a dedicated account. The application is a $20 download and setting it up was a little tedious. 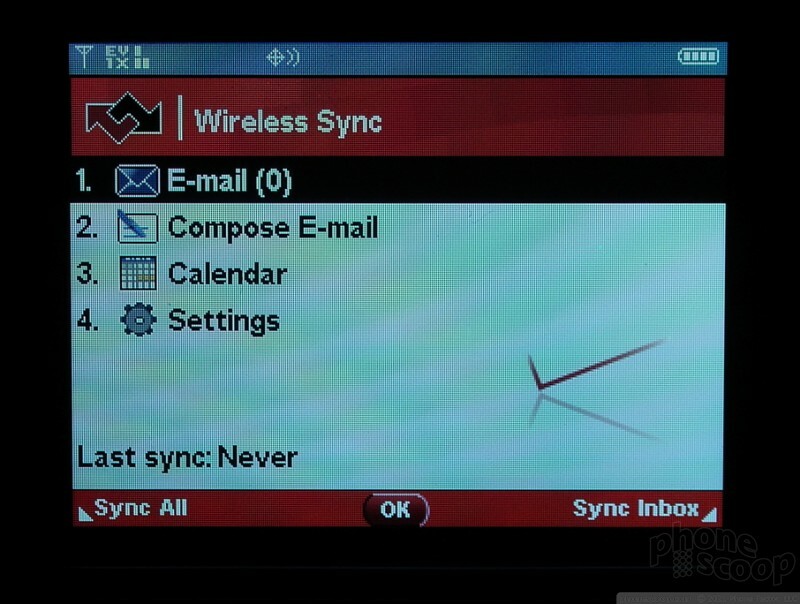 Once set up, though, it will synchronize email and calendar information automatically. Compared to other email-centric applications, the Intellisync software definitely falls short in terms of usability. The inbox isn't as easily viewed, composing messages is more difficult and takes longer than it should, and you simply don't have a lot of the expanded options that smartphones have. The QWERTY keyboard and large screen both go a long way here to help the enV be better a messaging machine than many other phones. The one complaint we have is that because the phone is held horizontal when using the QWERTY keyboard, it requires two hands to hold the phone and type. When attempting to type an SMS message one handed, we couldn't reach the far side of the keyboard with our thumb, and dropped the phone several times. (Yes, we're sometimes clumsy, but we'd like to see YOU try it.) With other QWERTY phones (like the Moto Q or a BlackBerry) you can use one hand to type messages without issue.